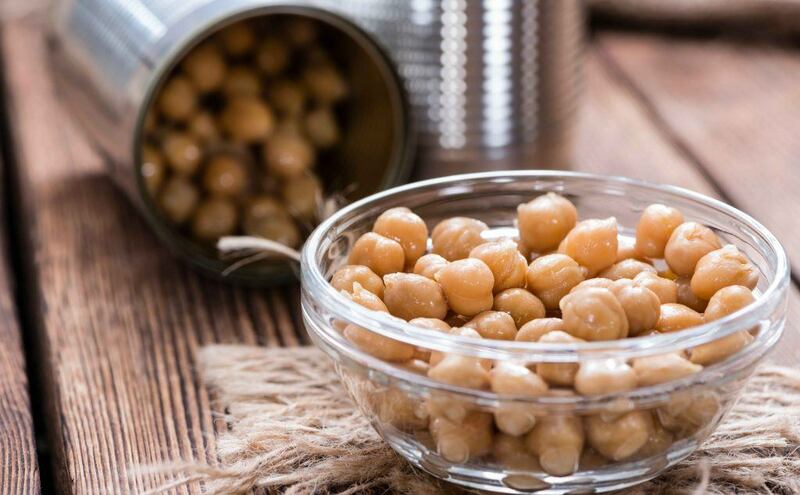 →Are Canned Chickpeas Cooked And How To Use One? Have you gone to the supermarkets and saw some canned chickpeas? 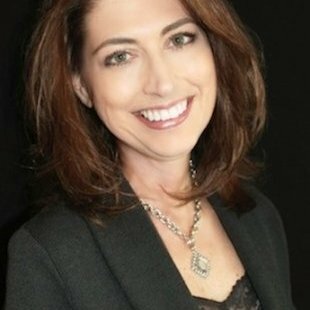 What’s the first thing that comes to your mind? Have you asked “are canned chickpeas cooked? Well, the answer to this question will be discussed later. You also can’t deny the fact that chickpeas are a great addition to one’s diet since they are excellent legumes offering wide nutrients. So, for the answer to this question, continue reading below. Also referred as garbanzo beans, chickpeas are legumes that are beige in color and has a shape like a pea. They are popular in South Asia, Middle East, and Mediterranean. 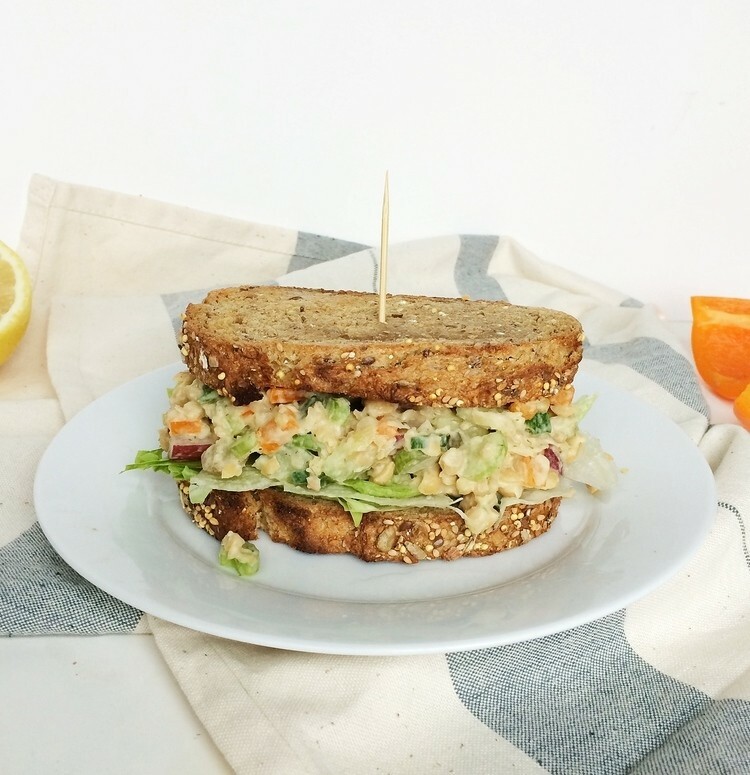 Chickpeas also offered a mild nutty taste and might be a great substitute for meat. Chickpeas are grown in the Southern parts of Saskatchewan and Alberta. Canada is one of the top exporters of chickpeas all over the world. Besides, chickpeas could be bought canned or dried, and this is why you might ask “are canned chickpeas cooked or not” compared to the dried one. If you are buying canned ones, you should buy the ones that are not leaking, dented or cracked or avoid those with bulging lids. And for the answer to your question, it’s a YES! Garbanzo beans or canned chickpeas are already cooked. Yes, you’ve heard it right!In fact, canned chickpeas are a great alternative if you don’t have dried ones. 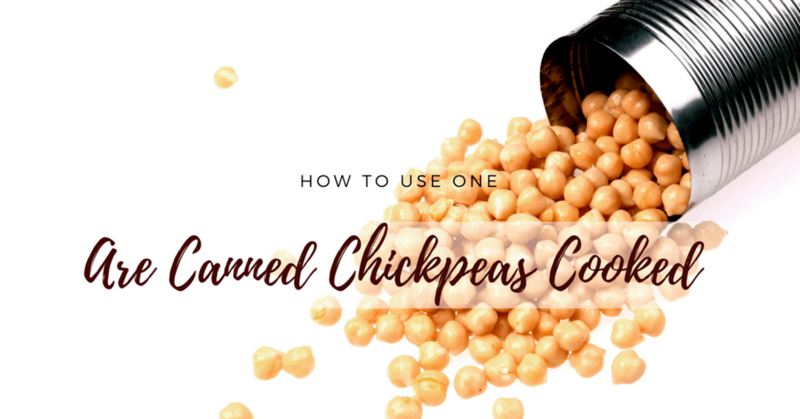 You might even spend hours just to soak and simmer the dried chickpeas before using them, and these canned ones could be served right from the can. Nonetheless, dried chickpeas might provide better flavor than the canned ones. They are tenderized in water for almost two hours, therefore, providing great flavor along with a subtle nutty taste. But, canned chickpeas offer a metallic and mushy taste. Regarding the nutrients, these varieties offer the same amount. On the other hand, canned options might provide higher sodium content. To freshen up the flavor, simply rinse them. You can indeed effortlessly enjoy this kind of bean if you choose the high-quality type. Again, if still wondering if canned chickpeas are cooked, YES they are already cooked! Now, you need to know how to prepare these canned chickpeas for cooking. What does this mean? I have already mentioned that they are already cooked, so why do you, need to prepare them for cooking? It is advised that you consider the organic types of beans which are certified to be BPA free as for preventing the food from getting contaminated with the bisphenol A or BPA. This kind of chemical is often used in cans. And so, exposure to the said chemical might lead to high blood pressure and will affect children’s brain. Simply pick those brands that might offer low sodium and known to be organic too. And once you have already chosen the canned chickpeas, open it using a can opener. There is a need for a strainer and put the beans to remove the excess liquid from the can. And drain them over the sink. Now, rinse the garbanzos under a strong running water right from your faucet. 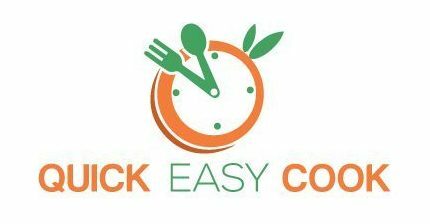 Right after cleaning, you can now add the chickpeas directly to the dishes of your choice such as salads, stews and soups. You might try to simmer the rinsed beans in some flavorful stock as for enhancing the taste and plumping them up too. If you want to add canned chickpeas to your dish, then follow these steps as your guide. Known as a favorite of the majority due to its versatility, canned chickpeas could be utilized in different dishes including soups, stews and salads. People of Italy would ground these beans into flour-like consistency as for creating socca or a crepe-like pancake dish. For Indian cuisines, chickpeas are also grounded to create fried pastries and bread. 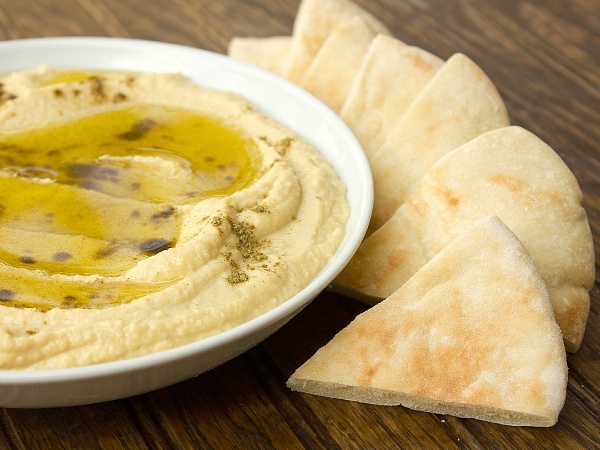 Also, most cuisines of Mediterranean and Middle Eastern people, chickpeas are being pureed along with lemon, garlic, and sesame seed paste as for creating a food dip referred as hummus. You might also transform the fully-dried and transformed canned garbanzos as fried chickpeas. You only need to season the beans with curry powder, pepper, cumin and salt. And after that, deep fry them in hot cooking oil. In making their taste a lot more appealing, chickpeas might be mixed along with other healthy ingredients. In fact, you can sauté chickpeas and mushrooms, therefore, creating new toast topper. Replace your kale salad with chickpea-Brussels sprouts salad instead. 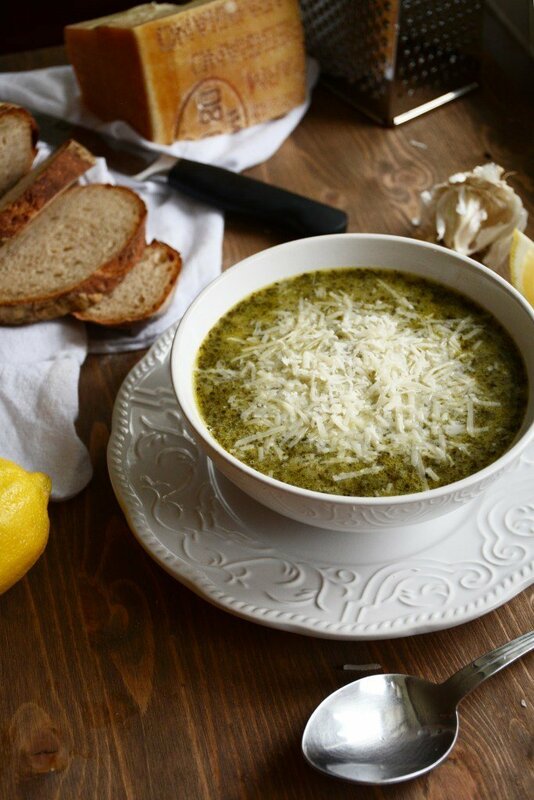 You only need to add some walnuts and Parmesan then serve it right away. 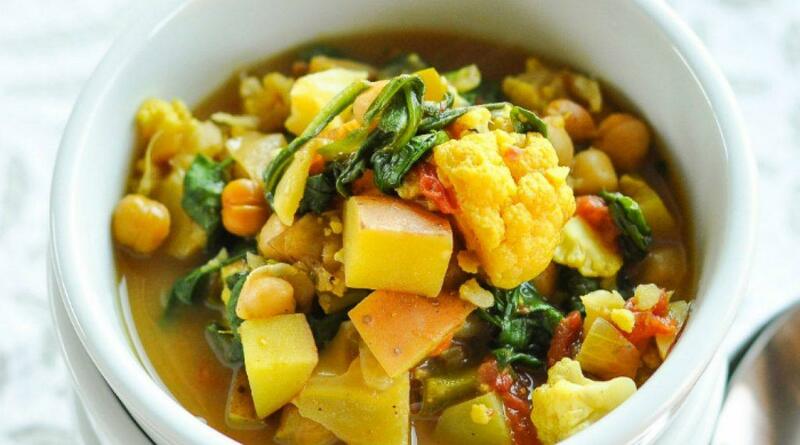 Indeed, wide numbers of different dishes or recipes wherein you can use canned chickpeas. Aside from knowing the answer to the question “are canned chickpeas cooked” there is also a need for you to know how to use these cooked canned beans. 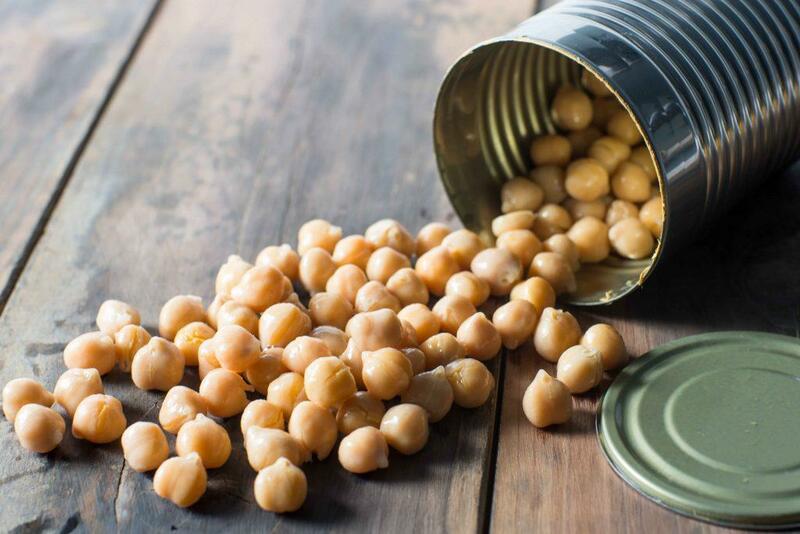 Once in an instance that you haven’t consumed all the canned chickpeas in a setting, take note that you don’t store them in an opened metal can. Rather, transfer the leftover in a plastic container or a glass then refrigerate them. They might be frozen in airtight containers or heavy duty freezer bags. Another option regarding storing leftover of canned chickpeas is to toss some olive oil to the rinsed beans before storing them in the airtight container. This olive oil will prevent these beans from sticking to one another. 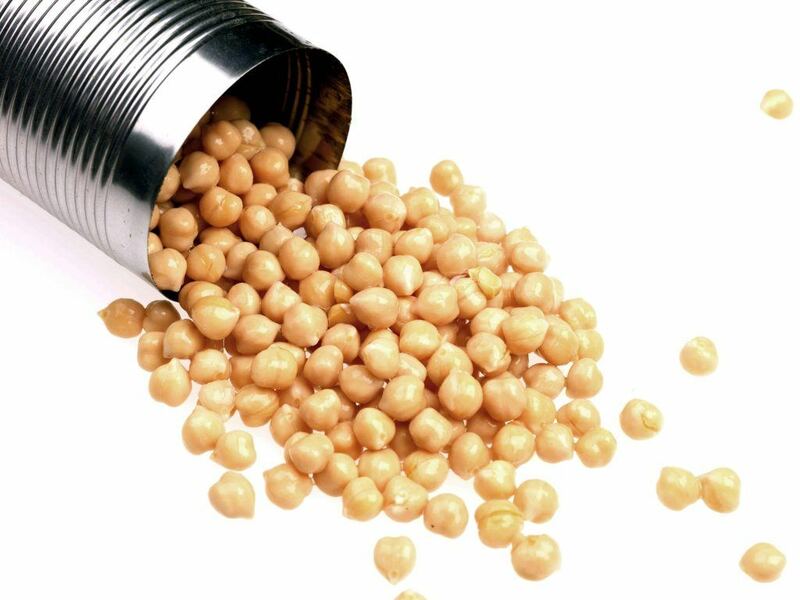 Freeze canned chickpeas with water if you want to store them for a longer period. As for some tips, canned chickpeas are indeed very convenient since they are ready-to-use. So, store them in a cool and dry place. You have to make sure that you rinse them well as for lowering the sodium content. Indeed, properly storing of canned chickpeas should not be ignored. First, chop up red peppers, tomatoes, cucumbers and carrots. Next, rinse and drain the can of chickpeas. And finally, toss together with a dressing made with lemon juice and olive oil. Add a pinch of pepper and salt to taste. Soak two cups of dried chickpeas overnight.Rinse and drain them in cold water. Place the drained chickpeas in the slow cooker pot and add six cups of water. Add sliced onion, a tablespoon of olive oil, two sliced cloves of garlic and also a pinch of salt. Now, cook on high for about two to three hours or up until soft. You can use this in your favorite dish. Be prepared with a can of chickpeas, tahini paste, and lemon juice, a clove of garlic, ground cumin, vegetable oil and salt. Put ﻿﻿﻿all these ingredients in a﻿﻿ blender﻿﻿﻿﻿﻿ or a food processor. After that, puree all these ingredients and add water in order to make the mixture smooth and creamy. You have to add more water up until you achieved the desired consistency. In a big sauce pan, you need to heat two tablespoons of olive oil over a medium heat. Next, sauté a chopped onion and two cloves of minced garlic then occasionally stir up until onion is softened for about five minutes. Now, add three cups of sodium-reduced chicken broth, two cups of sweet potato cubes, three cups of water and a can of chickpeas then bring them to boil. At this instance, reduce the heat, cover and simmer up until the potatoes are tender for around 15 minutes. And finally, add three cups of chopped kale and heat until the kale wilts. First, you need to cut up a head of cauliflower and a butternut squash into cubes. Then, sauté a chopped onion in a tablespoon of canola oil up until tender. Add two tablespoons of Indian curry paste, brown sugar and balsamic vinegar along with tomato sauce, butternut squash and cauliflower. After that, cover and bring to boil. Cook for 25 minutes but reduce the heat. Add a can of chickpeas and cook for another 5 minutes. Serve over quinoa or brown rice and top with plain yogurt and cilantro. Indeed, it is a great solution to use canned chickpeas once you are in a pinch. But going back to the question “are canned chickpeas cooked” always bear in mind that they are already cooked. And in fact, you can enjoy them right awa﻿﻿y from the can. For the best way on how to eat chickpeas, watch this. We are very pleased to hear your thoughts! Please leave your comments below. Planning to enjoy canned chickpeas, give it a try now!